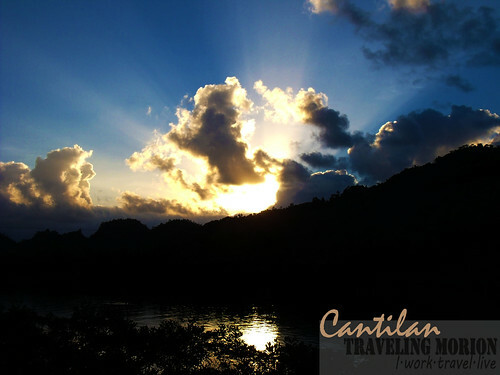 "Each morning in Cantilan creates unique photograph of beauty and inspiration. Subject? Choose from breathtaking sunrise, perfect clouds, unspoiled beaches, amazing waves, beautiful people inside and out… "
I was able to catch the earliest bus (1:00 am of November 30- Bonifacio Day) bound to Tandag from Surigao City. Around 2:00 am, we can’t pass and trapped in the mountainous area called Noventa Highway because of the deep mud and erosion. Aside from being famous as the red mountain/mining area, Noventa Highway seems to be one of the most dangerous roads in the country- steep, narrow, muddy, side by side is prone to soil/rock erosion. It was around 5:00 am (after almost 3 hours of being stuck ) when the bus successfully gets out of the muddy part - “operators” came and took help/control. I arrived in the town proper of Cantilan around 6:00 am. My Idol James, yes James of Journeying James riding in scooter fetched me in front of Cantilan Bank. After less than 5 minutes of motorcycle ride we reached Cathe Pacific- Cottage by the Beach of our ever accommodating host Cathe Duero with the warm welcome from my confi/kaladkarin friend Dennis of Love Mindanao and good breakfast prepared by James. Glen of Escape Manila and Cathe then arrived after 30 minutes. Our first day was scheduled for surfing and beach hopping in Ayoke Island.Unfortunately, bad weather condition stopped us to explore and surf in the island. No disappointment as Baybay Beach’s waves (just in front of Cathe Pacific- Cottage by the beach) is almost same as those in Ayoke Island. Hesitant to say but that was my first time to do surfing and riding in a surf board. Nakailang backdive at wipe-out kaya ako dun hehehe. The lady in long blue gown- Nathalie of Wandering Soles then arrived the following day. 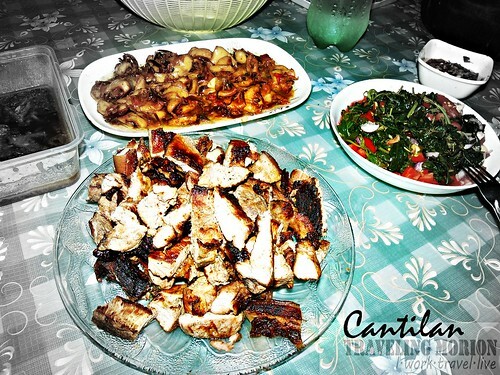 WHAT TO DO IN CANTILAN? Characterized by fine black sands and huge waves- perfect for unique sunbathing experience, surfing and skim boarding. One of the most romantic wooden bridges in the country. 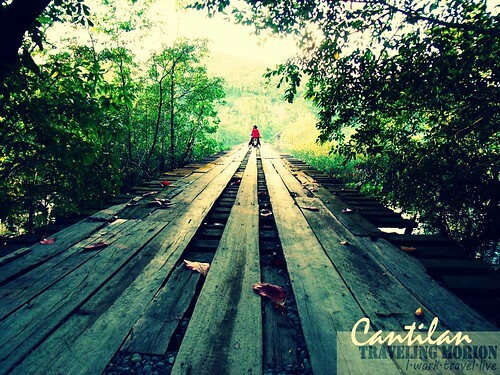 Best time to visit the wooden bridge at around 4:30 to 5:30 pm- ganda ng sunset! 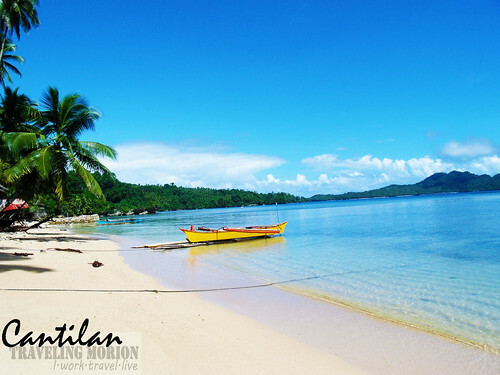 Its pristine and unspoiled white sand beach is almost perfect. Just see the photographs. I’m still at awe and wordless. 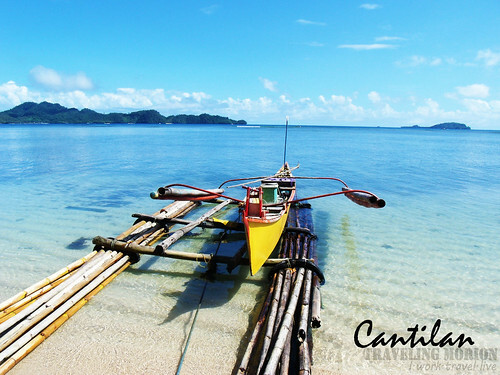 Ayoke Island is part of Cantilan , Surigao del Sur now being known as one of the best surfing spots in the country. 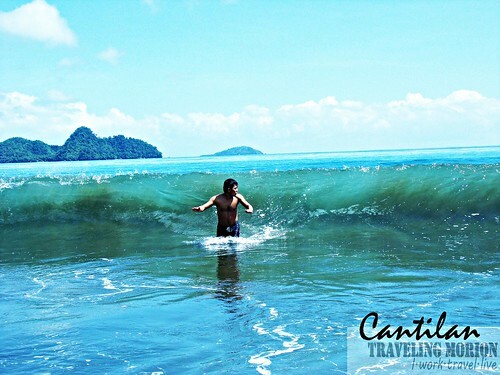 Facing the Pacific Ocean, expect huge waves perfect for surfing and skim boarding. 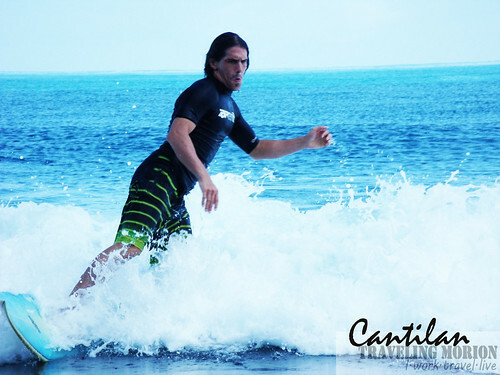 Just recently, the 5th Cantillan National Surf Competition was held in Ayoke Island. Professional surfers from different parts of the country came and joined. 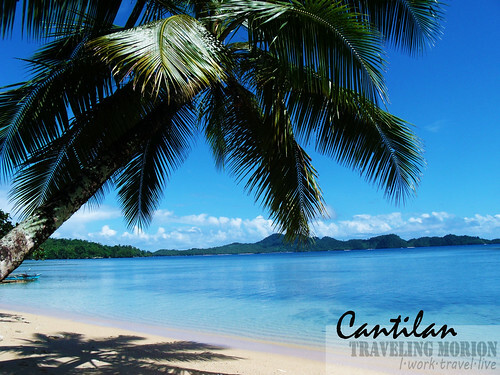 During 18th and 19th century, Cantilan is the cradle town of Northern part of Surigao del Sur. Heritage Houses reflects the town’s wealth and importance as the center of trade during early times. Nearest Airports: BXU/Butuan Domestic Airport and Surigao National Airport. From Davao City. In Davao City Bus Terminal take a Bachelor Bus bound to Tandag then transfer to van going to Cantilan or another Bachelor Bus going to Surigao City via Noventa highway. From Escape Manila : If you miss the bus to Tandag from Davao, you can take the Butuan/Ormoc/Tagbilaran bound buses and alight in San Francisco/San Franz bus terminal. Take another bus or van going to Tandag. From Butuan City. In Butuan Integrated Bus Terminal take a bus from Butuan City to Tandag then look for van/bus bound to Cantilan. If you miss the bus to Tandag from Butuan, you can take the Davao bound buses and alight in San Francisco bus terminal. Take another bus or van going to Tandag. 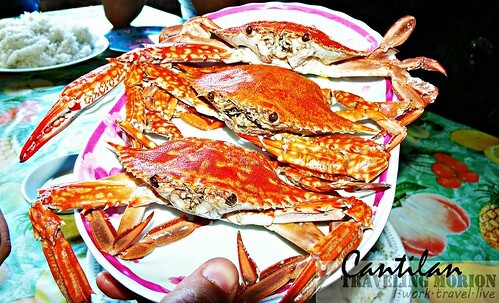 From Surigao City. At Surigao City Integrated Bus Terminal take a bachelor bus or van going to Tandag. Ask the driver/conductor to drop you in Cantilan Terminal. Cathe Pacific- Cottage by the Beach. 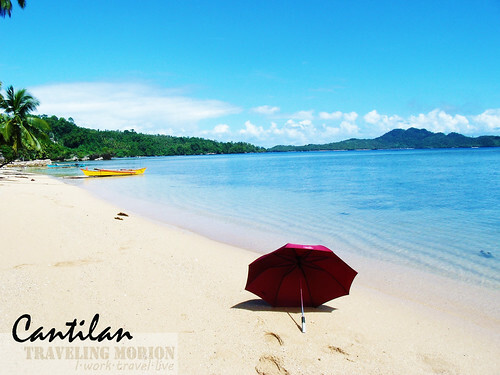 The perfect place to stay in Cantilan. Located in Bo. Baybay, Cantilan fronting Baybay black sand beach and surfing area. Contact number: +639167872904. Hi! Do you have instruction kung paano pumunta ng Siargao? I will be there on Feb with my friends. Hope you can help us. Manggagaling kami ng Manila to Butuan. Hanggang anong oras po ba ang schedule ng bangka papuntang Siargao? Saang pier po? From Butuan Airport sakay lang kayo ng multicab or tricycle going to Bus Terminal going to Surigao City. 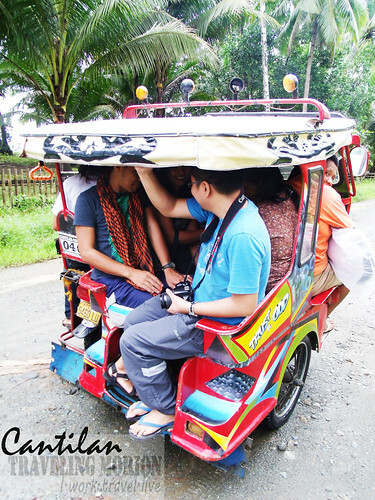 Sa multicab 10 pesos lang pamasahe pag tricycle (hired)- 100 pesos. In Surigao Bus Terminal take Multicab or Tricycle going to Surigao Port: Fastcraft and RORO or Surigao Boulevard: Lantsa/Passenger Boat. Pag fastcraft at RORO dapat nasa Pier na kayo ng before 10:30am- around 11-12noon umaalis, halos sabay.NOTE: walang byahe ng RORO at fastcraft pag Monday kc maintenance ata. kung gusto nyo mas maaga, sakay na lang kayo sa lantsa dapat early 5:00 am nasa boulevard area na kayo may umaalis schedule dun ng 5:00 or 5:30 am (mabilis mapuno kaya kahit hindi pa time umaalis na). Taz wala ng byahe ng hapon :)Fastcraft, RORO and early scheduled Passenger Boats are all bound to Dapa POrt. May diretso din ng del Carmen 12:30 alis sa Boulevard Area (kung maiiwan kayo ng RORO at Boats going to Dapa)enjoy! Well-guided and well-directed instruction in going to Siargao. The place is ideal for surfing. 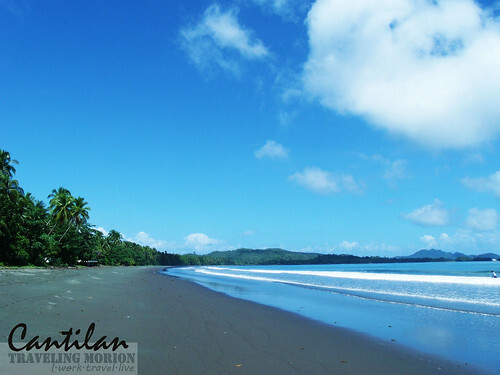 Is this the place that is considered as the surfing area of southern Mindanao? But wow, look at those pictures. Indeed, 10% na lang, nasa langit ka na, LOL. 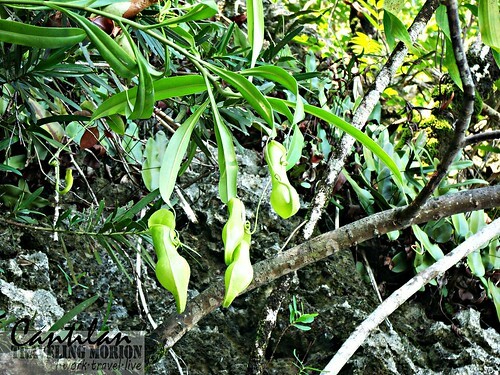 No wonder Siargao is a widely known travel spot. @Sir Gil and Maricel- Sa Cantilan in Surigao del Sur po ito medyo malayo sa Siargao. Another interesting surfing site in the country. Oops, apologies for that. Well, Siargao man or Cantilan, the place sure looks like some place you would never grow tired of. Great bonding with other PTB members. The place looks great and the photos really had us feeling that we were just there appreciating the views. Anyone who wants to get there will now have an easy way because of your hardwork and, because of the pictures, they'll know beforehand what to expect from the place. it sounds like you had a fun and wild adventure. this place also sounds like a good place for a vacation or honeymoon. It is very evident that you and the other travel bloggers had the time of your life and in a very magnificent location yet. It's also nice to still see pristine beaches in its natural undeveloped form. It's just an amazing view. Looks a peaceful place where you can wash away all your troubles. I will be here one day! 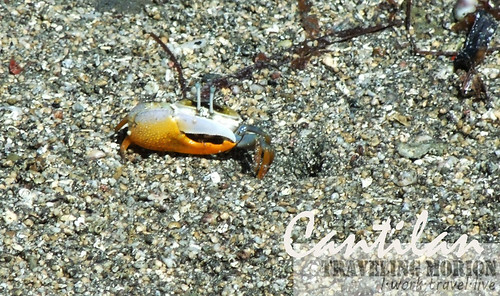 Would you know if there are dive sites in Cantilan? If yes, do you happen to know their contact details? I will be truly grateful for any assistance or referral you can give. @SEP- UPDATE:) meron daw dive sites :)--- sa Ayoke Island and Isla Heneral pero wala akong contact info. Again, post worth-sharing. Just one of the hidden treasures of our country. Thanks to your great shots, they really are inviting. Great adventure and the food is so yummy! 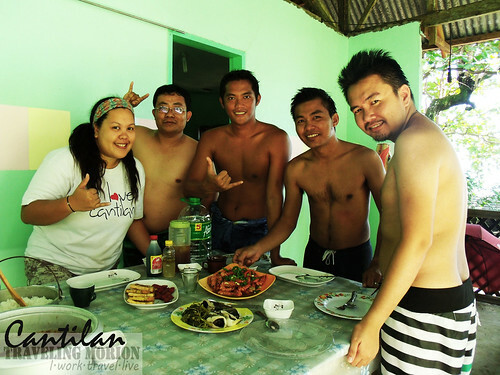 glad to u enjoy trip to cantilan at naks may kasama pang ibang famous bloggers :) kip safe lagi ! Ang ganda namn ng place at sasarap ng food na kinain nyo!